This is a gem for those beach dwellers who have an appreciation for natural treasures. 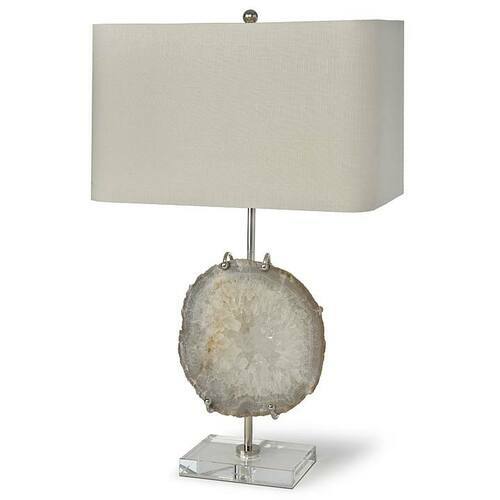 The beautiful Exhibit Lamp is made of a nickel stem that holds a large unpolished piece of white agate. All site atop a clear lucite base. Measures 10"L x 18"W x 29"H.